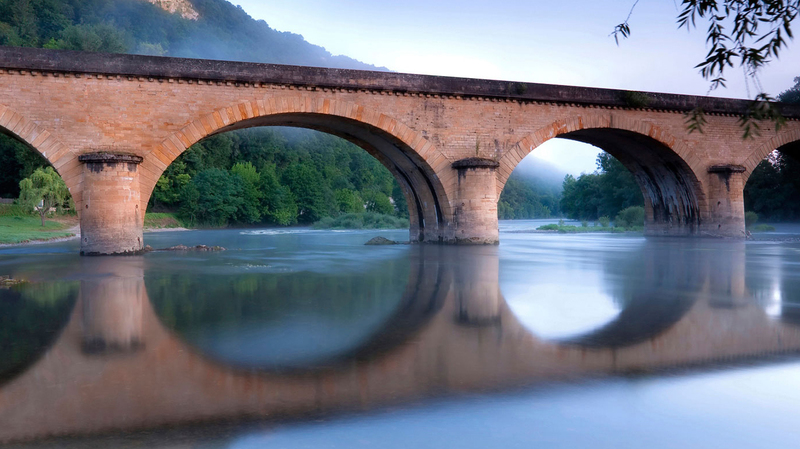 Search for the best flight prices from Manchester to Dordogne. Compare prices, book today and save money with Manchester Airport. Deep in the heart of south-western France, occupying the ancient province of Périgord, the Dordogne is one of the country’s most beautiful rural spots – enriched by a majestic river, beautiful valleys and history at every turn with, wait for it, over 1500 castles to explore. The rolling, rural acres of the Dordogne are liberally sprinkled with stately chateaux and luxurious gîtes (rural holiday houses). There are few international chains in this character-packed part of France – instead, boutique hotels such as Clos La Boëti (95-97 avenue de Selves) in historic town Sarlat la-Canéda disguise state-of-the-art wellness spas and endless swimming pools behind traditional palatial exteriors. There are some glorious townhouse hotels here too, and Residence In Sarlat (16 rue Fénelon, Sarlat-la-Canéda) is a typically chic option for mid-range travellers. Working to a tight budget? Try a cheap and cheerful chain such as the Hôtel Première Classe de Périgueux (Espace Agora, Boulazac). It would be a crime to visit the Dordogne without dropping in on at least one of the region’s famous food markets. Colourful stalls selling farm-fresh produce take over the centre of Lalinde on Thursdays, Libourne on Fridays, Sarlat on Saturdays, and Bergerac on Wednesdays and Saturdays. Bergerac also has a long-running flea market, where you’ll find the odd delectable antique nestling amongst the bric-a-brac. The medieval lanes around the cathedral in regional capital Périgueux hide some stylish boutique stores, but Limoges has a greater range of designer shops. This sprawling city is also famous for its porcelain, and factory shops such as the House of Porcelain (14 avenue du Président Wilson) in Aix-sur-Vienne often sell off bargain stock. Dordogne cuisine revolves around luxurious locally sourced ingredients, such as black truffles, scallops, duck and goose. Vincent Arnould at Michelin-starred Le Vieux Logis (Le Bourg, Trémolat) knows how to prepare these fine foods to perfection, but if you can’t get a table here, then nearby Le Bistrot d’en Face (Trémolat) is a less costly alternative. Dishes at 19th-century hotel Les Glycines (4 avenue de Laugerie, Les Eyzies) are based around seasonal produce from the vegetable garden, while Auberge de la Truffe (Le Bourg, Sorges) also makes the most of local ingredients. Try the truffle omelette here for an affordable taste of the region’s famous ‘black gold’. Centred on Bergerac, the Dordogne’s biggest jazz festival is now entering its second decade. Evening performances by international jazz greats are supplemented by ‘Le Village des Arts et des Artistes’, a jamming area that also hosts lectures, shows, dance and countless eclectic performances. French music, drama and writing are celebrated during this annual cultural festival, which welcomes artistic types from across the French-speaking world. A packed programme of free street events adds to the atmosphere. Celebrated throughout France, Bastille Day is marked by parades, music, family activities and firework displays. In the Dordogne, most villages hold individual festivals, and events range from communal meals to dancing and live entertainment. Limousin’s famous ‘Festival 1001 Notes’ in Saint Leonard de Noblat is a classical music event focused on encouraging young talent. As well as classical artists, it features performances from the genres of jazz, gypsy and folk. Held every year during the first week in August, this summer celebration of theatre and the arts takes place against the stunning backdrop of Bonaguil Castle. It concludes with live concerts and one of the region’s biggest firework displays.